A nearly $300,000 construction project began this week at the Mesquite Regional Landfill, about 5 miles east of Glamis, to upgrade and repair the site’s extensive storm drain system. 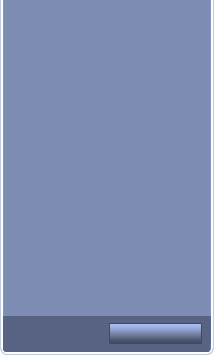 The Sanitation Districts of Los Angeles County awarded the construction contract to DJ Miller Inc.. DJ Miller Inc. is based in Yucaipa and has an office in Brawley. The contractor plans to work through November using an Imperial Valley based construction crew. “We are very pleased that Imperial Valley crews will do the work. Local crews have handled numerous projects at the Mesquite Regional Landfill site over the past few years,” said Paul Prestia, Waste-by-Rail Section Head for the Sanitation Districts of Los Angeles County. In addition to local crews, most of the material, including the rock and rip rap to rebuild the slopes of the storm drain channels, will be purchased from sources in Imperial County. Construction of the Mesquite Regional Landfill, a 4.5-mile rail spur to the Union Pacific Railroad main line and an intermodal facility began in 2006 and was completed in 2011 at a cost of about $130 million. Several local contractors and subcontractors have worked on several phases of the construction. 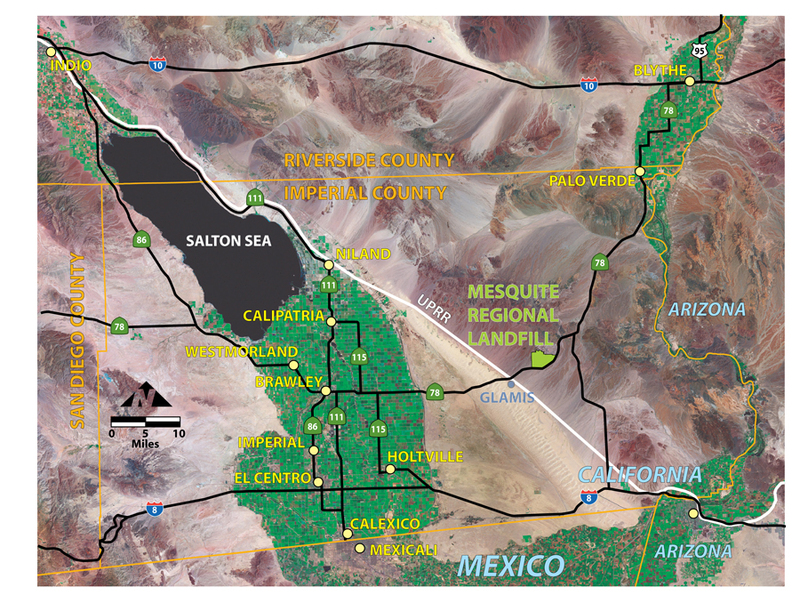 However, start of the landfill operation has been delayed because the amount of waste going to landfills has dropped sharply throughout Southern California.“The Mesquite Regional Landfill was planned to be an asset to the entire Imperial Valley region by providing jobs and economic benefits to the County. The economic recession has effectively delayed the start of waste-by-rail,” stated Mr. Prestia. 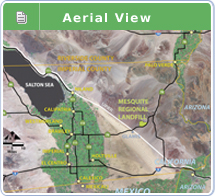 Until the Mesquite Regional Landfill starts to operate, the Sanitation Districts are looking at ways the intermodal facility may provide economic opportunity for the Imperial Valley Region and be used to offset some of the cost of maintaining the landfill infrastructure. During 2012, Union Pacific leased the intermodal facility for the delivery and storage of blades for the Ocotillo Wind project. The Sanitation Districts’ mission is to protect public health and the environment through innovative and cost-effective wastewater and solid waste management, and in doing so convert waste into resources such as recycled water, energy, and recycled materials. 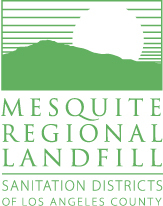 For more information about the Sanitation Districts and Mesquite Regional Landfill you may go to www.lacsd.org.